We are planning a spring litter for 2019. 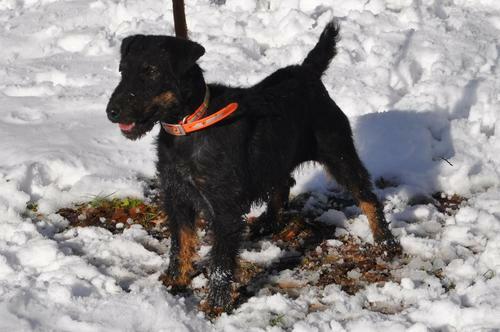 We have a new Croatian import male with a wire coat and beard, planning to breed to another rough coat female. 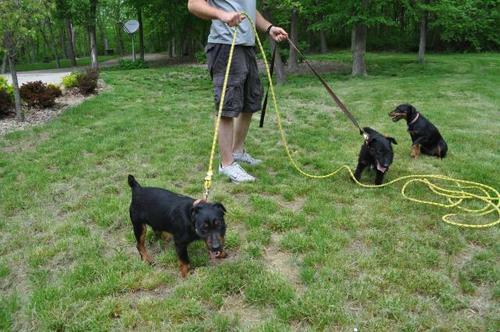 Puppies from this breeding will be $750.00 Now taking deposits on puppies from this litter. 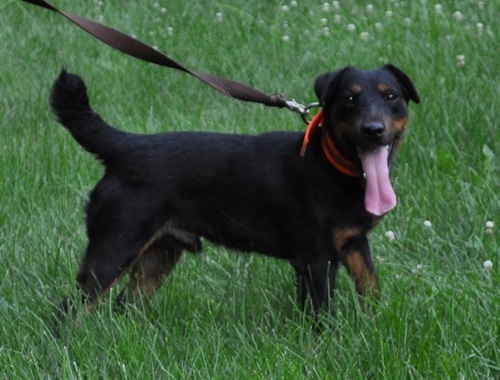 Pickup or shipping should be arranged to occur when puppies are 8 weeks of age. Pickup or shipping is the responsibility of the buyer. We can help and arrange for shipping by air or ground. Air shipment typically runs around $400 in the lower 48. Ground shipping can usually be arranged for around $250 in the eastern half of the USA. 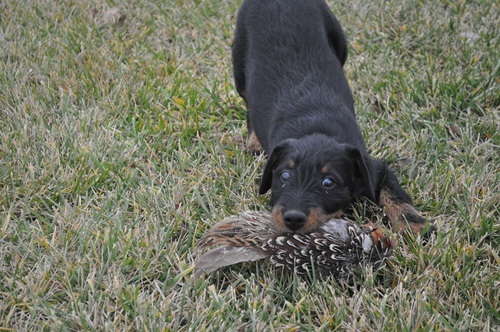 We have a hog hunting business in west Texas and will deliver puppies along our route from Iowa, through Missouri, Kansas, Oklahoma and North Texas if puppies are ready to adopt during our winter hunting season. 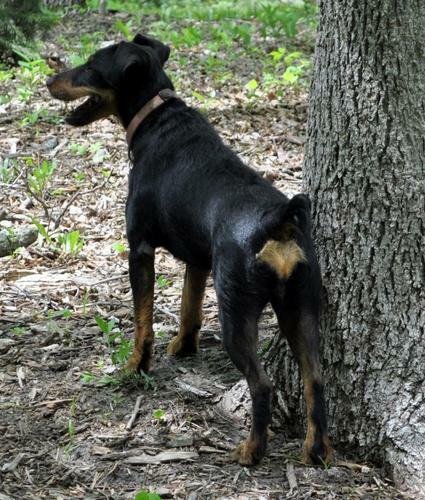 We try to have our puppies born in the fall and ready to rehome to coincide with our hunting season travels. 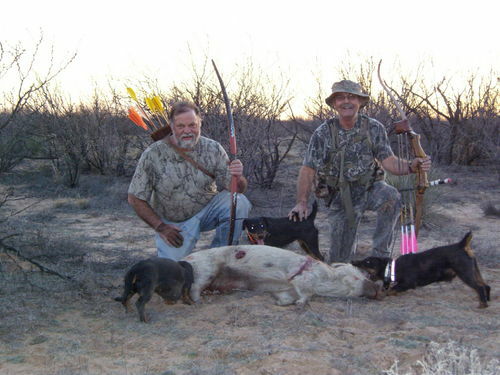 We use Jagdterriers for blood tracking wounded hogs on our hog hunts in Texas. 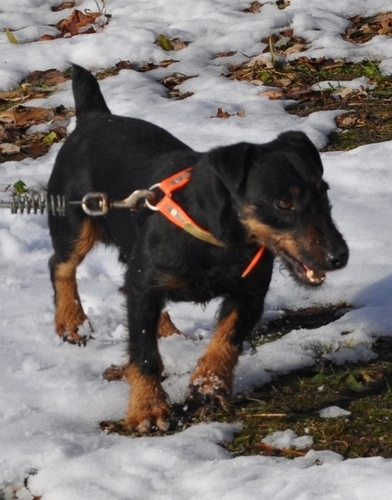 These little dogs have a keen nose and a high prey drive. They hunt. Our experience is that if the hog is dead we will find it. 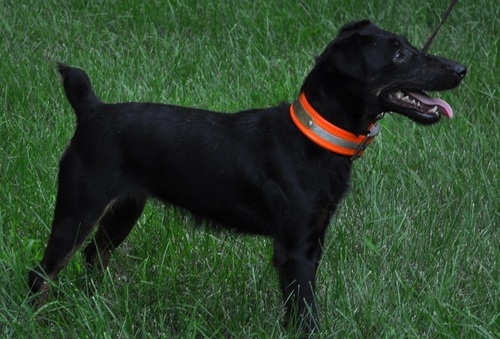 If the hog is not mortally wounded these dogs are quite capable bay dogs and will frequently bay up wounded hogs that can be retrieved. 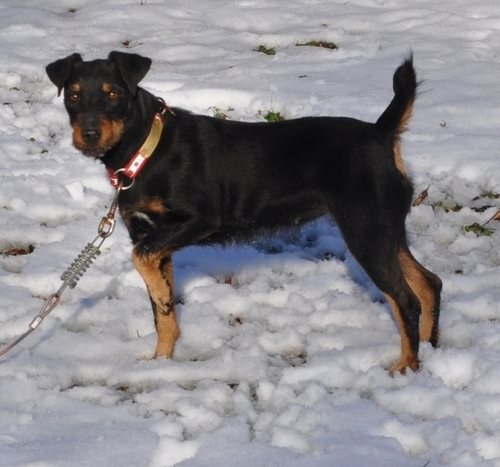 Our Jagdterriers are out of Croatian and Serbian Import bloodlines with European FCI registration. 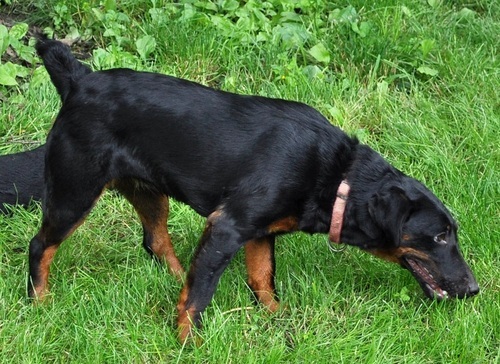 FCI registry import dogs are co-registered in the United Kennel Club and puppies from these dogs also register in the UKC. 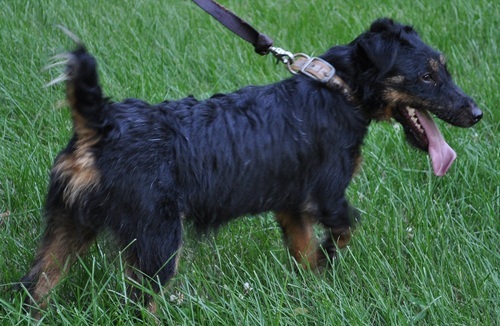 Jagdterrier breedings usually planned for fall season. Our puppies are whelped and raised in our home.